Singapore Plants Lover: What is the name of this tree? Picture taken in Bishan Park one day in May. Does anyone knows the name of the tree? this is trumpet tree, introduced from tropical america. sometimes the whole tree tops will be covered with pink flowers (pink trumpet tree) but the flowers don't last long. they fall to the ground. if many trees planted together, the fallen flowers like pink carpet spread on the ground. 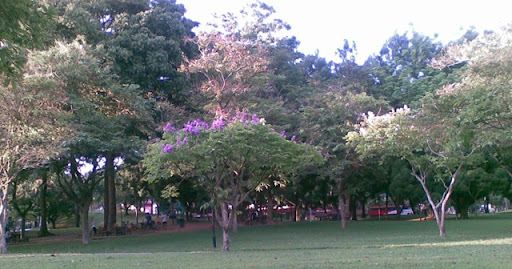 some trees the colour is purple, purple trumpet tree.